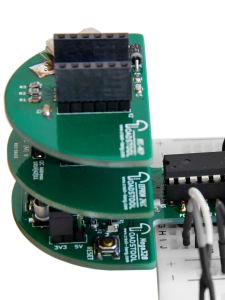 Toadstool: A modular platform that lets you quickly and easily build microcontroller projects. Ideal for makers wanting to move beyond the Arduino ecosystem, or for experienced enthusiasts and professionals wanting to speed up prototyping. Now Live! The prototyping process is over – the Toadstool is alive! 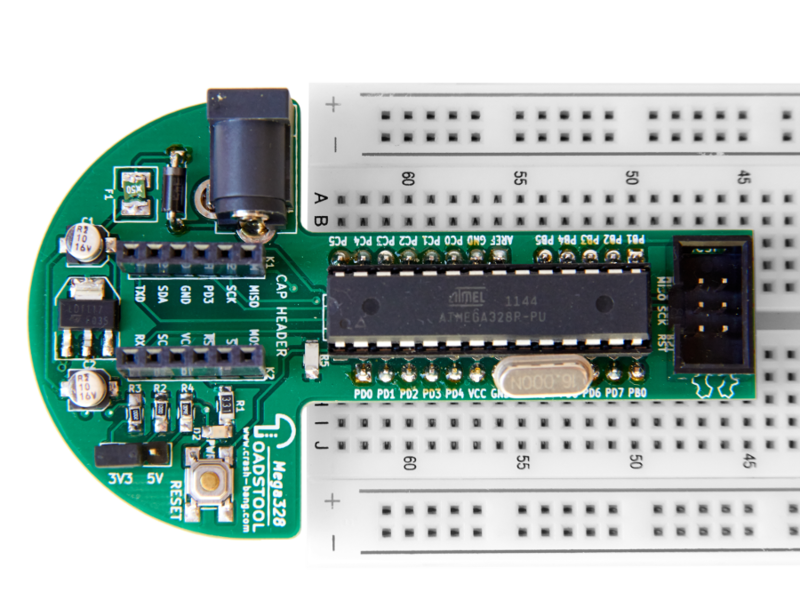 Speed up your prototyping with a self-contained module that connects directly to your breadboard. 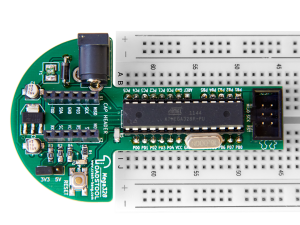 The Toadstool houses the microcontroller and supporting components, along with a power-supply and programming/debugging header. All I/O pins are broken out and labelled to get you up and running faster. Bring flexibility to your projects that other prototyping platforms don’t offer. 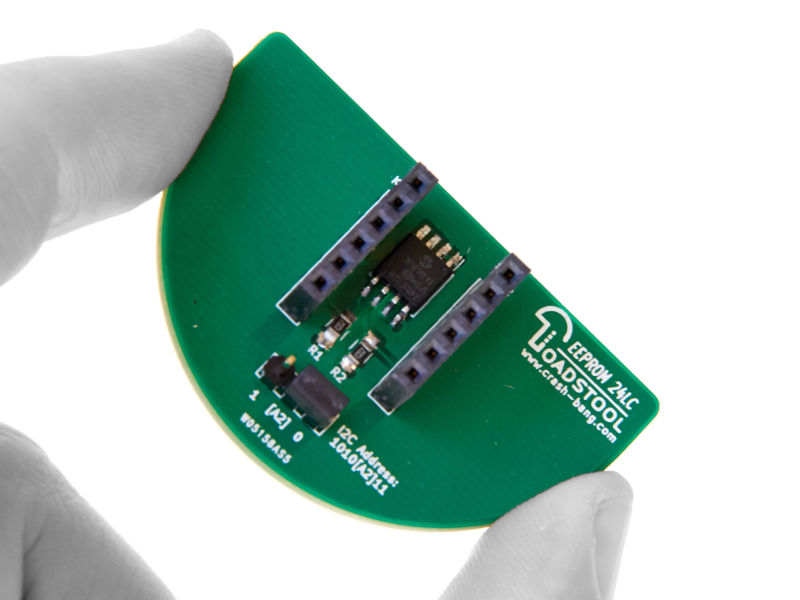 The Toadstool range of boards supports microcontrollers from a number manufacturers, including Atmel and Texas Instruments. Features include a voltage selection jumper, and flexibility to choose the crystal that suits your application. Use a range of caps to further simplify your prototype. 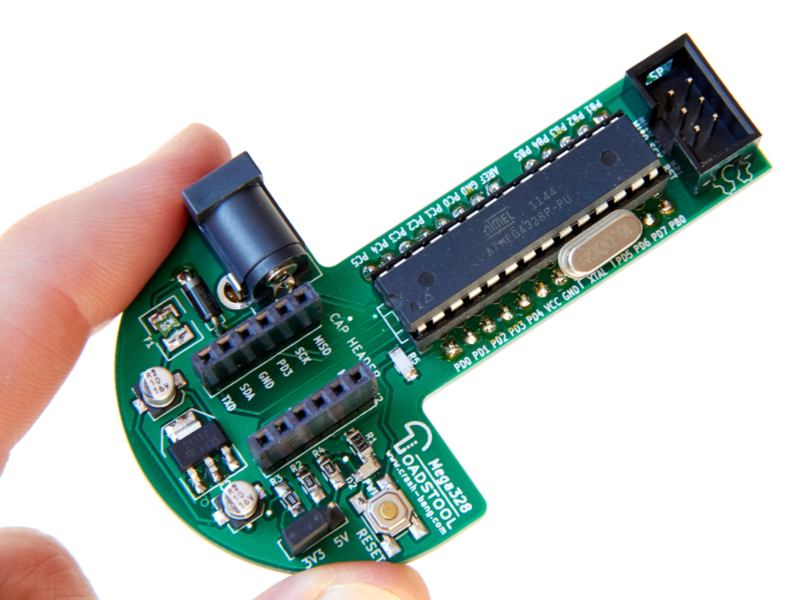 Popular breakout boards, known as caps, connect to all Toadstool prototyping boards using a standard connector. 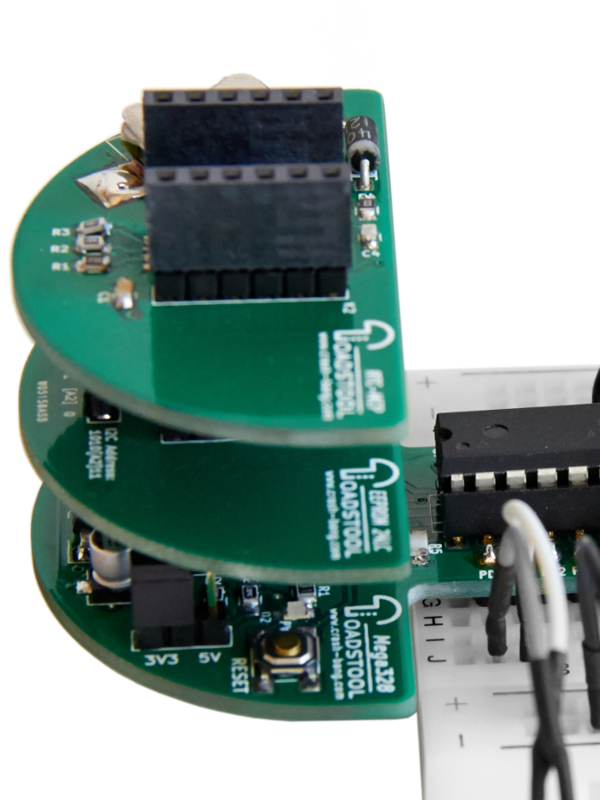 The connector carries SPI, I2C, and UART signals to allow the connection of a range of small modules without reducing teh size of your main prototyping area. Your prototypes will be faster to put together, and have less wires getting in your way. The Toadstool was designed to be feature-rich, flexible and easy to use. We thought that it was worth sacrificing the “fits on the tip of your finger” sexiness for a cool design and loads of features! With more in the oven! 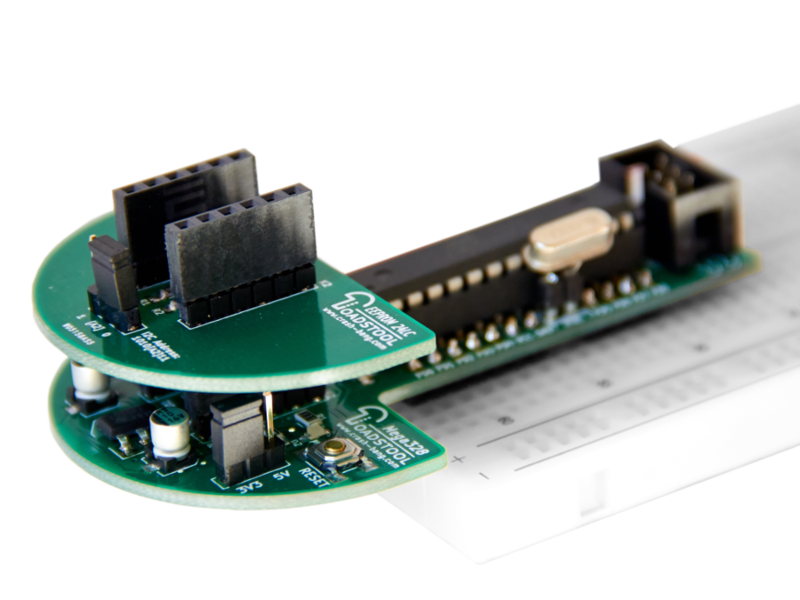 Crash-Bang Prototyping are big fans of Open Hardware, and in line with the ethic of sharing the Toadstool is an Open Source Project. All schematics and layouts (which were made with the awesome Open Source Kicad EDA software) are available on our Github repository. Please download, share, and most importantly feed back! I have really enjoyed the Beyond Arduino series. Everything has worked so far mainly because the examples are well documented and the articles very instructive. I tried doing this with the PIC a few years ago but having some help with the datasheets makes all the difference in the world. I haven’t gotten the temperature logger to work all the way yet but am working on it. It shows the help screen and I set the date but I haven’t seen the temperature logged yet. I like the way you are working through capabilities of the AVR module by module. The Toadstool is great also. No more dealing with all the wires. Looking forward to some additional CAPS. It did take me awhile to figure out I needed to change the clock speed before it would work according to the articles. Some ideas for future articles would be working with a rotary encoder with LCD Display. I did get a PIC to read a Maxim DS18s20 temperature IC awhile back but would like to work with one wire devices and a display to see multiple temperatures. Hi Ripley – Thanks for the positive feedback, really pleased that the article structures work for you! 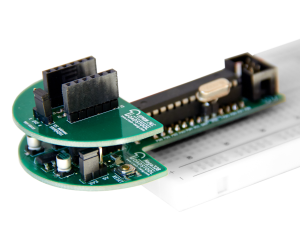 I haven’t worked with PIC, so can’t compare, but do remember that once I became comfortable with datasheets it completely changed my ability to work with the MCU (and additional modules). If you still aren’t winning with the logger, pop me a mail and maybe I can help? I’m very biased, of course, but I also like the Toadstool! It’s the third incarnation of my original prototyping board, and I use it all the time – great that it works for you too. Thanks for flagging the clock speed – I’ll make sure I set that up before shipping in future. Finally, thanks for the thoughts on future articles. I’m a little stretched for time right now, so may be a while, but I like the ideas. I “kept track” of your articles each month, thinking sometime I will dive in. Now is the time (Jan issue). I have spent hours in the datasheets and on Studio 7. i was lost in a rabbit hole and decided it was “time”. Love it! Question on the AtmelICE. Did you get it? Was the basic kit enough, or did you move up to the top dog? I am trying to decide on the programmer. Good luck and please stay in touch!